Did this loss occur after 1/1/2015? If yes, you may be eligible for up to $35,000 in federal mortgage assistance at no cost to you. Please spread the word and let others know about the program. Click on the “See If I Qualify” box and follow the on screen prompts. You will then be prompted to provide some basic information. When selecting an “Agency” to work with, Please select South Suburban Housing Center. 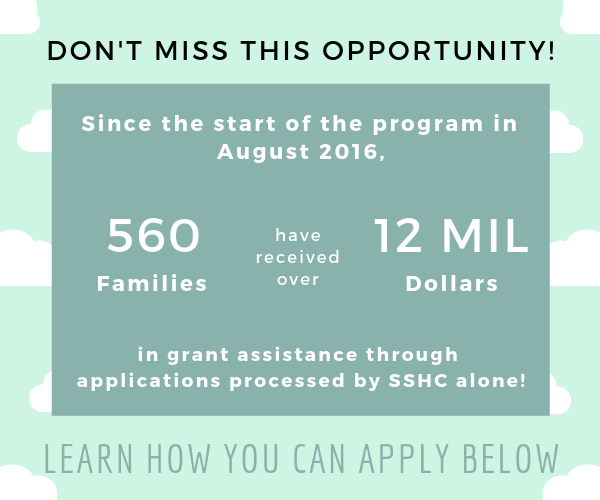 SSHC will receive a notification once the application has been completed and someone from our office will follow up with you to review the specific documents we’ll need to support the application. *Due to predicted increased applications, please allow 2-3 business days for our staff to contact you. Please have the following documents available when you are filling out the online application as there are specific questions you will need these to reference.